There were 29 tornadoes across the Canadian Prairies this summer, with Saskatchewan registering the most, but the one in Alonsa, Man., caused the most damage. "These numbers are still preliminary as our summer severe weather team has a few more things to go through and we have had a tornado in October before, so realistically, the season may not be over," said Alysa Pederson, decision support meteorologist with Environment Canada. The 2018 tornado count, to this point, shows 19 touched down in Saskatchewan, eight in Manitoba and two in Alberta. There are possibly six more — three each in Saskatchewan and Alberta — that still need to be confirmed. The twister that went through the Alonsa, Silver Ridge and Margaret Bruce Beach areas on Aug. 3 claimed the life of one man and was rated an EF-4. That's the second-highest severity classification. It left a path of destruction that was up to 800 metres wide in places. The trail of damage in the area, about 165 kilometres northwest of Winnipeg, could be seen on satellite images. "You'll have to forgive me if I sound a bit emotional, but it's still about as fresh as the day it happened," he said Monday. "It's just like a kick in the head. Everything destroyed you've been building for 52 years ... in 52 seconds it's pretty much all gone. It was just so fast. But I'm thankful 14 of us survived in the basement." Cabak, his children and grandchildren, hid in the basement of his cottage, as the structure was ripped from its foundation. "It could have been so much worse," he said. His shop and barns were levelled. A month later, debris is still everywhere, despite tonnes being hauled away by a local contractor. He says many local groups came in to help as well. Cabak lost several vehicles and pieces of equipment that were tossed into the water. He doesn't know if he has the strength to rebuild. "It's still up in the air. I would have to get away from cattle and retire," Cabak said. 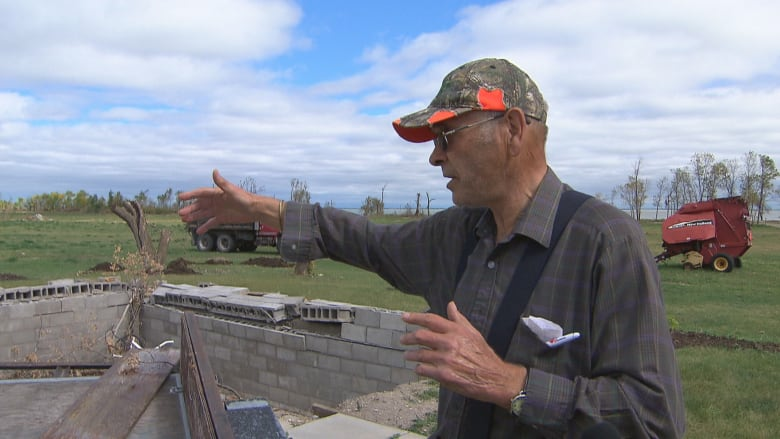 He says he will definitely have to sell some of his cattle before winter — after losing more than 200 hay bales in the twister, he won't have enough to feed them. RM of Alonsa Reeve Stan Asham says it will be years before the community recovers. He says they still don't have an estimate of all the damage, as farmers like Cabak wait for their claims to be settled, but expects it to be in the millions. Houses, cabins destroyed in tornado near Alonsa, Man. 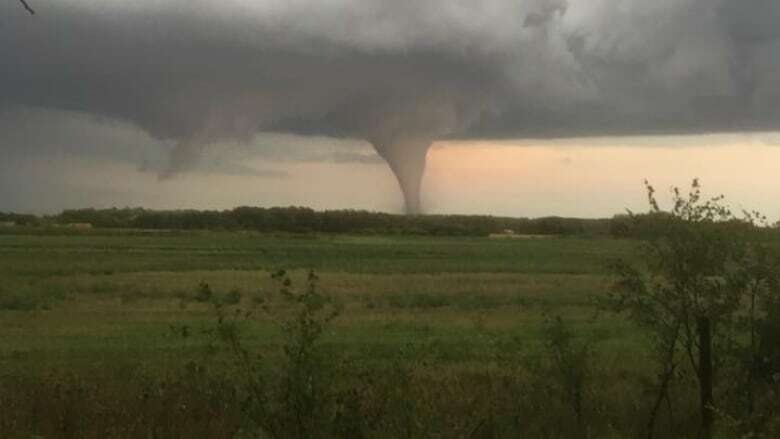 Saskatchewan recorded, in a single stormy day, the same number of tornadoes that Manitoba had in total, with eight touching down in southern Saskatchewan on July 10. Both of Alberta's confirmed tornadoes were landspouts, Environment Canada said. Landspout tornadoes do not usually cause major damage but can still be strong enough to topple trees, damage roofs or toss debris short distances. A table in this story initially had the numbers for Manitoba and Alberta reversed. 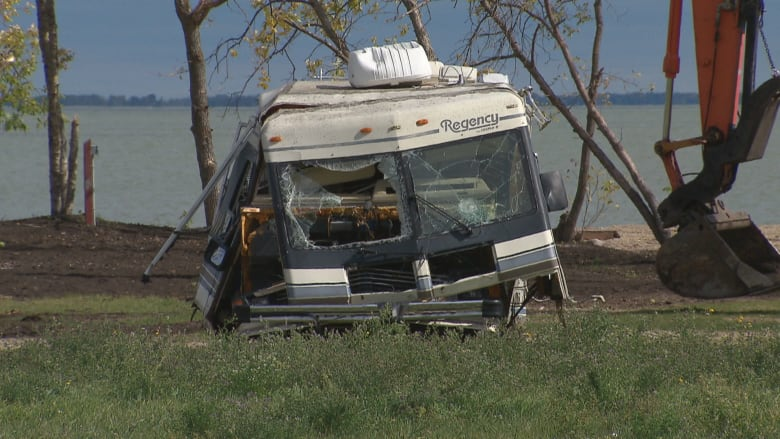 Manitoba had eight tornadoes and Alberta had two confirmed and three possible tornadoes.